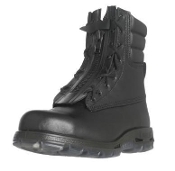 The boots are returned within 30 days of purchase date. They are returned to Advantage Gear in sellable condition as when they were received. 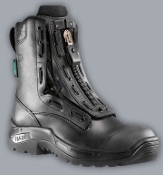 The customer must return the boots with their original, dated invoice, packaging and a return authorization number. Boots will only be accepted for exchange if they were purchased from Advantage Gear. Employees will not accept boots that have been purchased elsewhere, or if they do not meet the above conditions.